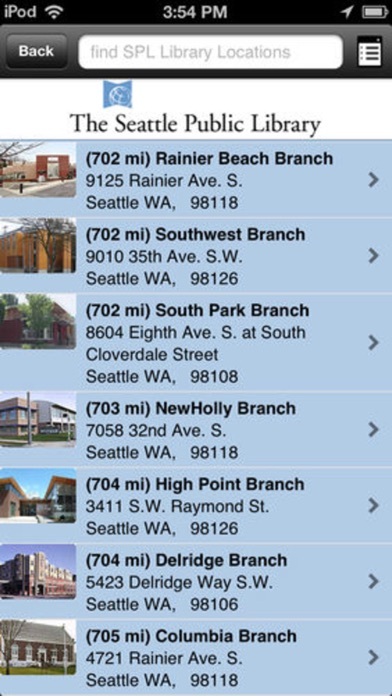 The Seattle Public Library in your pocket! 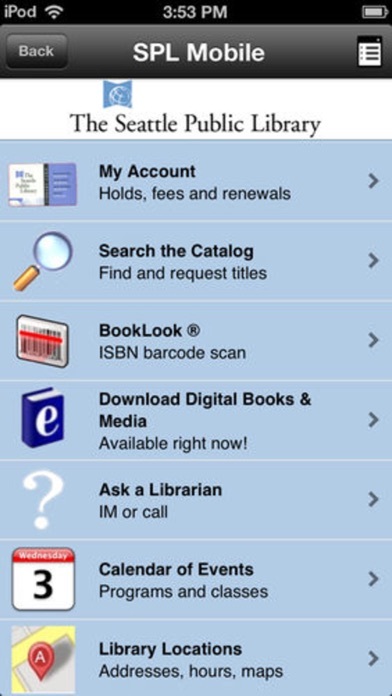 The catalog, My Account, and some features of the Library Web site are now available from your Web-enabled phone. 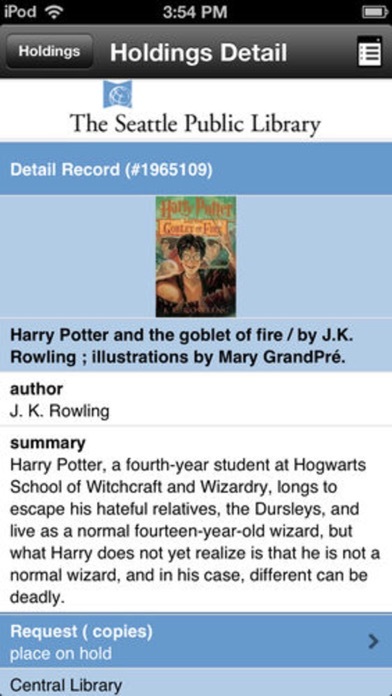 Search the Library catalog for a title, place holds, renew items you have checked out, see what you have on hold, and view most account information. You can Ask a Librarian a question via instant messaging, text, or telephone during Library open hours (phone feature dependent). Check the calendar of events for classes, story times, author readings, and other programs. Find your nearest Library location on the map and view hours, addresses, and other information. 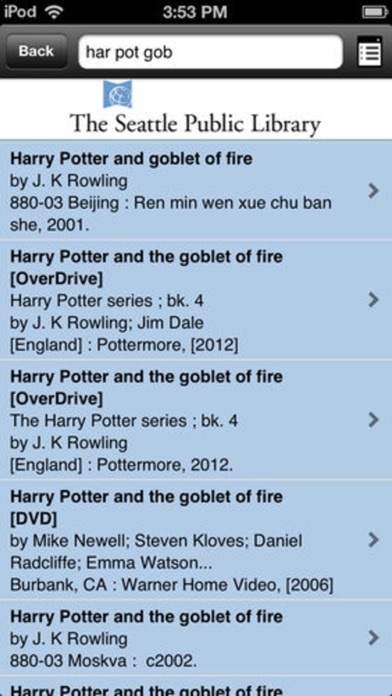 Use book, DVD, CD and audio book lists to discover new or recommended titles. Read the latest entries on Library blogs and our Facebook fan page.